The night of Friday, June 9, 2017, Jane concluded that she had just experienced one of the worst weeks of her professional life. Let’s take a look at the context. As a manager in the new businesses division of a multinational in the industrial sector, Jane is in constant contact with colleagues in Brazil and Argentina. One of her responsibilities was to prepare various forecast reports for the opening of a new trade channel in Argentina. These reports were to be translated and sent to her colleagues in Argentina for implementation. The country office would make new decisions based on the information in those reports. Well, what happened? Normally, she hired a specialized translation agency. She would send them the reports and there were no problems. But on Monday, June 5th, she was in too much of a hurry and had to quickly get that translation taken care of. So, she made do without the agency. She was busy preparing a presentation about something else. She hired the “services” of a colleague who supposedly had an excellent command of Spanish, and who promised to prepare a translation “in a couple of hours.” Jane didn’t know that she was placing herself in a tight bind. The result looked very good. Jane checked it with Google Translate, then sent it off. But at the end of the text, one incorrectly translated sentence concluded the document with the exact opposite meaning of the original. Fortunately, someone noticed the mistake late Wednesday, just before the Argentinean team gave the green light to a series of actions that would have been catastrophic for the company. We won’t get into details, but Jane spent all of Thursday and Friday making countless apologizes to her colleagues in Argentina for her mistake and trying to remedy a situation that could have cost the company hundreds of thousands of dollars (plus Jane’s job). It was a nightmare she could have avoided. 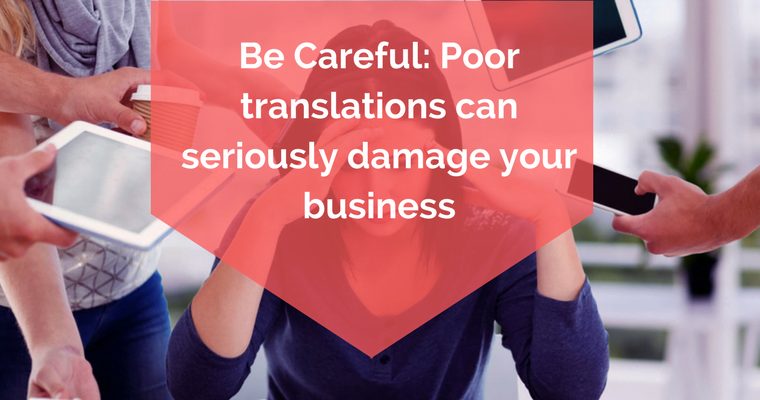 Though some people have a hard time believing it, a poor translation can have unfortunate consequences and even damage a company’s image. Conditions are even more dire for start-ups, which don’t have the reputation or safety net to recover from a misunderstanding stemming from a deficient translation. There are jobs and professional situations where there is simply no room for confusion. An error in a legal document (such as a contract) could lead to enormous financial losses. And what about in medicine? Things aren’t any easier there. Imprecise medical translations could have extremely grave results—even the death of patients in delicate conditions. It’s a well-known fact: spelling and punctuation errors have had negative effects on medical information and on manuals describing the proper use of medical equipment. The answer is simple: turn to a translation agency. There’s always the temptation to turn to someone you’ve got on-hand who could help you out because they “communicate really well” and have some tools and skills, but (as in every field), specialists exist for a reason. Our job consists of much more than just changing text from Spanish into English. 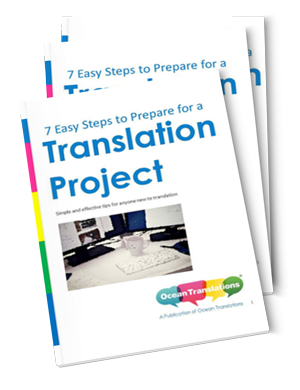 A proper translation job requires cultural knowledge of the target language. References to different currencies, numeric figures, temperatures in Celsius and Fahrenheit, clothing sizes, etc. Let’s continue. An experienced translator is attentive to details, including so-called “false friends.” What are those? They’re words that are written similarly in different languages but have totally different meanings. In legal and medical translation, “false friends” are actually our greatest enemies. For example, you might be tempted to translate the Spanish sano as sane, but it actually means healthy. Do you see how a single mistranslated word could change the meaning of an entire document? Finally, although technology is certainly within your grasp, be careful. Use Google Translate with caution and in moderation. As a tool, it can give us answers to small questions, but it cannot replace the mental and creative work of a human professional. Save yourself a bitter pill. You don’t really want a week like Jane’s, do you? An agency’s work consists of analyzing and translating texts, paying attention to each fragment, and searching every corner of a document for the correct meaning. This requires professionalism, precision, and determination. Don’t take shortcuts—look for advice. Beyond all that—aren’t you a professional? Of course, you are. So don’t forget it, and don’t forget to surround yourself with professionals.